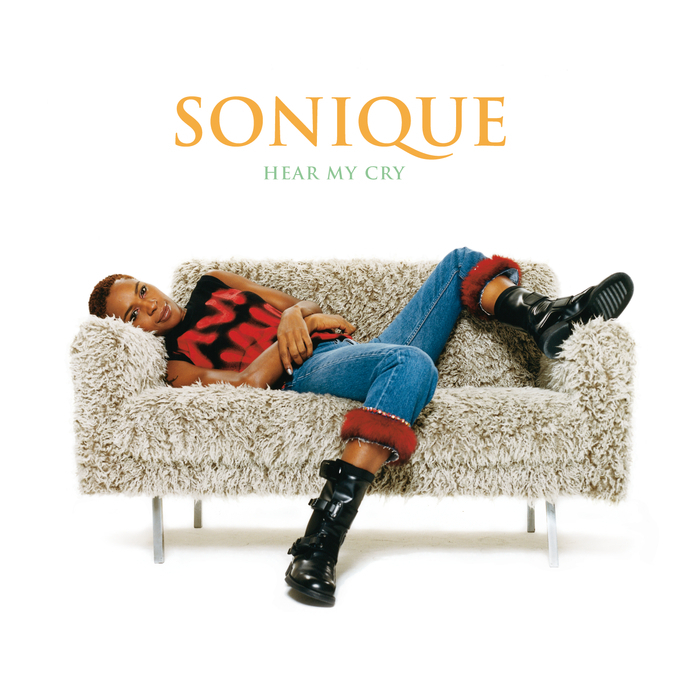 Today’s POP RESCUE from an uncertain fate, is Hear My Cry – the debut solo album from former-S-Express singer and DJ, Sonique. This 14 track album opens with the pulsating synth-scapes of single It Feels So Good, before Sonique’s soulful vocals pour in. It’s a gentle journey through a richly layered track, that takes from the dance and trance scene that was prevalent at the time. This single was both the second (1998) and third single (2000) to be released. Upon it’s second release it gave Sonique her first (and so far only) #1 single. Next up is the cover of Screamin’ Jay Hawkins‘ track I Put A Spell On You. This is my favourite of Sonique’s singles, and it’s surprising that it only reached #38 on first release in 1998, and then #8 on second release in 2000. This track served as the third single from the album. Some truly reminiscent sounds of The Brand New Heavies are up next in track Are You Ready? – both musically and vocally. It’s an up-beat funky track with some catchy vocals and it certainly grew on me. Cold And Lonely is up next, which musically sounds very chilled out, but the vocals feel somewhat scattered over the top, and I find it hard to realise whether we’re in a verse or chorus. It simply drifts. Sonique is joined by American RnB singer Calvin Richardson on next track Drama. It’s definitely an RnB diversion from the first beat – there’s some telephone message from Calvin (who opens the vocals). This does feel like a weird inclusion. The music is rich, with harps, keyboards, and some nice vocal harmonies. This really could be anyone to be honest – and jars with the rest of Sonique’s music. This belongs on a Whitney/Beyoncé/Mis-Teeq album, not here. A return to form is up next with the brilliant Move Closer which brings her back into trance and dance. This is a catchy track, and one that I feel should have been a single. Can’t Get Enough follows, and thankfully it’s along a similar style. Sonique’s soulful vocals take centre stage here, more so than the music, even if she is singing about the economy – ‘When I can’t get enough, when will I get enough. Oh, it seems so tough. Everybody wants to do their own things but inflation is rising’. The title track Hear My Cry is up next, and it’s a slower track, and closer to the funkiness of Are You Ready? with Sonique demanding equality – ‘I wanna live on a happier planet, where I’m respected for the love I give’. Some robotic sounding synths open Empty (Hideaway), in a very highly reminiscent nod to Portishead‘s opening sequence for their track Mysterons. Aside from that, this song is a wonderful showcase for Sonique’s vocals. It’s dark and different from the rest of the music on the album, and this is almost Bond Theme territory. Next up is the much faster, up-tempo, trance track Love Is On Our Side, which is incredibly bouncy. So much so, that it sounds like something that could belong to Steps. Despite that, this really is a great track, and Sonique’s vocals make light work of it over the simple synth riff. Second single Sky is up next, and this sits perfectly amongst It Feels So Good and I Put A Spell On You. I’d actually forgotten all about this song despite it getting to #2 in the UK singles chart. Songwriting royalty Rick Nowels (Belinda Carlisle, Lana Del Ray, Madonna etc) has co-writer and production credits here. It’s a great little light trance track. Learn To Forget is a slow jazzy piano ballad, which comes as a bit of a surprise considering what the rest of the album is (Drama aside). Whilst this may have been intended to be the final track, it isn’t, and so it doesn’t feel like a slow closing to the album. I conclude that Sonique’s vocals don’t really suit a slow track like this. Penultimate track is It Feels So Good (Can 7 Soulfood Club Mix), a 7:56 minute remix of the lead single. Can 7 have previously visited my ears via a saloon bar version of Moloko‘s Sing It Back. They fail to disappoint, here they take Sonique and give her a chilled out lounge version, that could easily put her on a Cafe Del Mar compilation. The album closes with the bonus track Sky (Sonique Remix). It starts with some haunting vocals over a bassy synth before the beat kicks in. The vocals cut through the swollen synth layers here, again to give a chilled out 6:26 minute version of her hit. This track serves as a relaxing closing of the album. With a couple of misguided strays from the path, the album is altogether pretty good. There’s plenty for belting dance/trance fans, and some funky chilled out tracks too. After this album, Sonique returned in 2003 with a couple of singles, but failed to reclaim her popularity. The album Born To Be Free reached #142 in the UK. After successfully beating breast cancer in 2010, she has occasionally performed. Her website appears to be dormant. 2000 UK CHART POSITION: #6, certified Platinum. Posted in 2000s, SoniqueTagged 2000, album, Calvin Richardson, Can 7, DJ, Hear My Cry, I Put A Spell On You, It Feels So Good, It Feels So Good (Can 7 Soulfood Club Mix), review, Rick Nowels, S-Express, Screamin' Jay Hawkins, SkyBookmark the permalink.